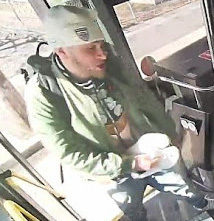 Transit Police report they are looking for this guy for some major damage they say he did to a T bus on North Beacon Street near Market Street in Brighton around 10:10 a.m. on March 23. 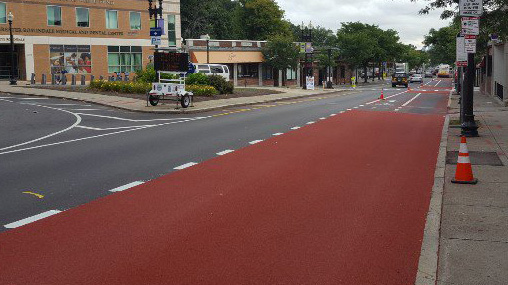 The MBTA today released a ton of proposals to change its bus routes, including one of the longest routes in its system: The 34/34E that runs from Forest Hills all the way to Walpole. Read more. 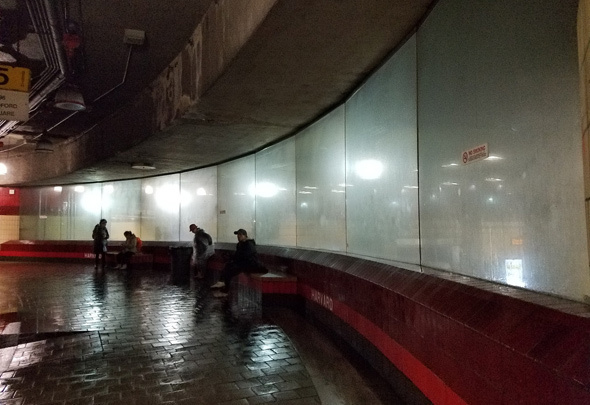 Maria M. captured the mood in the Harvard Square bus station when things got all fogged up on Thursday. New bus nearing road readiness. 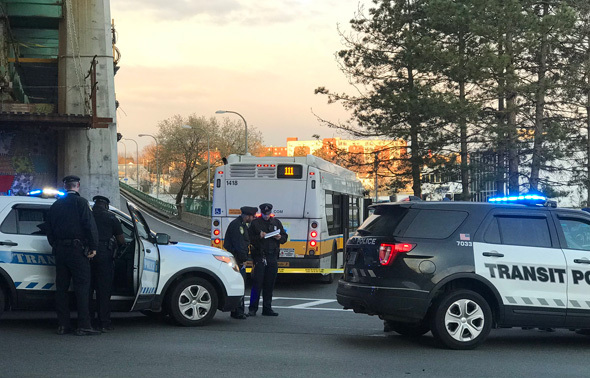 Photo by MBTA. The MBTA reports it plans to pilot electricity-powered buses on the Silver Line starting later this winter. Read more. 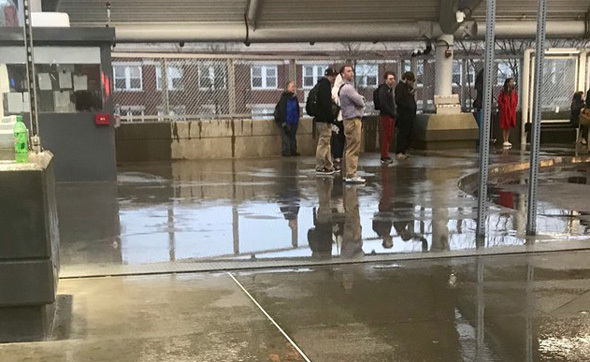 Forest Hills and Arborway chronicler Clay Harper took a walk around the Forest Hills MBTA station last night to look at the additions, including the new entrance across the Arborway from the main station and the new upper busway and its all important canopies. Read more. Work's started on another permanent canopy for the upper busway at Forest Hills, this one to cover the walkway to come between the station and the new main bus area, where a much larger canopy is still under construction. Don't you hate it when you run out of Web fluid and have to take a bus? Checking his calendar for his next appointment with Doc Ock. Chris Helms proves it's true what they say about the 34 and 40 buses in Roslindale - you never know who you'll run into. 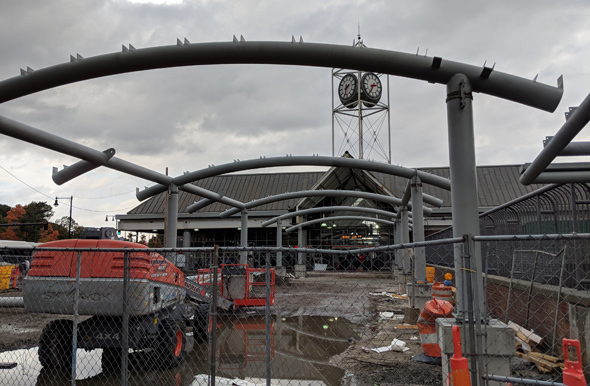 Workers are busy this week assembling a series of large metal pipes into the frame of a canopy for long suffering riders of the Washington Street and Centre Street buses that use the upper busway at Forest Hills. The old canopy was taken down years ago as part of the reconfiguration of the busway to make way for the new Arborway/Washington Street layout. Read more.